Thanks for stopping by for the Seriously Shifter Giveaway Hop! I absolutely love werewolves, so this hop was totally up my alleyway. When it comes to picking a certain book as my favorite, I have a hard time since I've read so many. I do have to say that I really enjoy the Kelley Armstrong 'Women of the Otherworld' books and the new SyFy show based on the books, Bitten, is great so far. Have you guys checked out either of them yet? 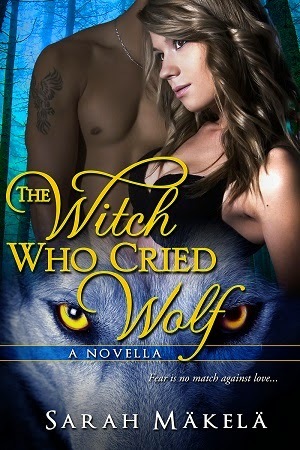 With my own writing, I have to say that I'm loving the 'Cry Wolf' series, which has The Witch Who Cried Wolf and Cold Moon Rising with the next book coming out in May. Thanks for being part of the hop Sarah!! I haven't tried your books yet, Sarah, but I love werewolf stories so its just a matter of time.